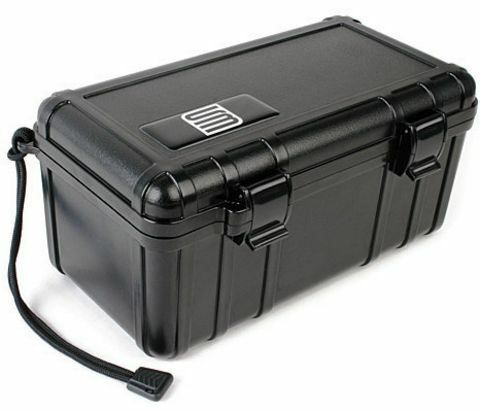 The S3 3500 case is foam-lined, watertight, hard-sided and airtight (it floats!). This patented drybox is designed to handle full submersions. High impact ABS. Made in USA. Inside Dimensions 7.88" x 3.90" x 3.53"
Outside Dimensions 8.38" x 4.66" x 3.99"